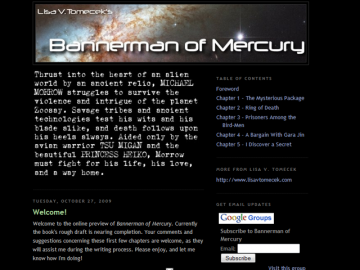 Bannerman of Mercury by Lisa V. Tomecek is a novel updated weekly. Bannerman of Mercury has not been reviewed yet. Bannerman of Mercury has not been recommended yet.